The 2011 edition of the annual Carbon Disclosure Project (CDP) Global 500 report, published on September 14, which examines carbon reduction activities at the world's largest public corporations, has found for the first time in the ten year history of the survey, that the majority have climate change actions embedded as part of their business strategy. 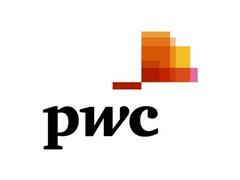 The report, written by PwC on behalf of CDP, attributes this to growing board-level awareness of the link between energy efficiency and increased profitability. The report revealed that 68% of the world's largest companies have climate change at the heart of business strategies, compared with 48% in 2010. Available video includes general views and soundbites from Paul Simpson, CEO of the Carbon Disclosure Project and Alan McGill, partner, sustainability and climate change, PwC.